Join Us on April 4, 2013, from 4 to 7 PM at 1317 East Carson Street:: Gratitude for all who are journeying with us at Schwartz Living Market! Join us on Thursday April 4, 2013, from 4:00 to 7:00 PM to thank so many individuals and organizations as we manifest our dreams at 1317 East Carson Street, the home of the soon to be open Schwartz Living Market. Be a part of this Transition Town process! You will be part of the coronation of our brand new and donated water fountain from Oasis, a small woman owned business in Columbus. Ohio. Help us thank Chris Romangnoli of Oasis and Matt Larkin, the local Pittsburgh, PA, representative of Oasis, and all of the wonderful people that have donated so much of their time, and worked so consistently in our process at 1317 East Carson Street. We will be entertained from 4:00 to 5:00 PM by Stephanie Miller, harpist extraordinaire! See www.musicforlife.com for more details about Stephanie's work with Vibroacoustic Harp Therapy. David Smith will be doing a Native American blessing on the fountain at 5:00 PM and all of our water in Pittsburgh, and Phil-O-Sophical will be doing his amazing Flowetry stand up poetry. Coffee from Building New Hope and light appetizers from South Side's Cambod-I-Can Kitchen. Sliding scale suggested donations will be accepted. Twenty five dollars or more, or ten dollars suggested donation if you bring your own water bottle to fill at the newly installed water fountain! Based on the team's input at 1317 East Carson Street pictured are early drafts of our story's HIstory, Project, Essence, and Journey designed by Jenna West, and below, Tony Albrecht, AIA's depiction of a potential rooftop Permaculture and Biodynamic Production Farm and performance venue on the rooftop design with solar panels. Erzen Associates: Cleaning Supplies and Clean Up! Special thanks to the Allegheny County Health Department and the Department of Environmental Protection for allowing us to keep some of the Asbestos Flooring on site and encapsulated for educational purposes! Tony Albrecht, AIA Architect; Tara Alexander, Filmaker and Permaculturist; Margaret Baco, Pam Barroso, Organizer; Sarah Baxendell; Dave Davis, Carpenter; Lauren DeCleva, Designer; Mark Dixon, Filmmaker; Darrell Frey, Permaculturist, Educator, Contractor, Three sisters Farm; Mark Harris and Harris Electric; Brad Hochberg and Energreen, Organizer and Co-Creator; Frank Knezevich, Painter and Carpenter; Bruce Kraus, South Side Councilman; Joe Liotta, sign painter since 1938! ; Liz Lynch, Permaculturist and Integrator; Ed Mudjarik, lead and asbestos testing; David Magness, Observer of the Unfolding; Chad Mosesso, Organizer and Connector; Bill Peduto, Councilman; David Smith, Blesser; Pete Tomkins, Plumber; Steve the lead remediator; Jenna West, Graphic Designer, Logo creator, Brochure Creator, Panel Maker, Phil-O-Sophical, Jeff Newman of Steel City Soils, Greg Boulos, SJ and Anthony, Debbie Jacknin, Matt Mehalik, Jesse Jon Salensky, Justin Thakar and Alex Dale, currently Transition Facilitators, and more that will be listed in the future that we may have mistakenly not included. Please let us know if we have overlooked mentioning you by contacting us at SchwartzLivingMarket@gmail.com and we will add you to this blog entry! Thanks to Stan, Laura and Rachel Beck. Also, to the memory of my late in-laws, Marian and Steven Beck, and Aunt Sarah Ann Schwartz. May their memory be a blessing to this process we are working on. May they be smiling upon us. 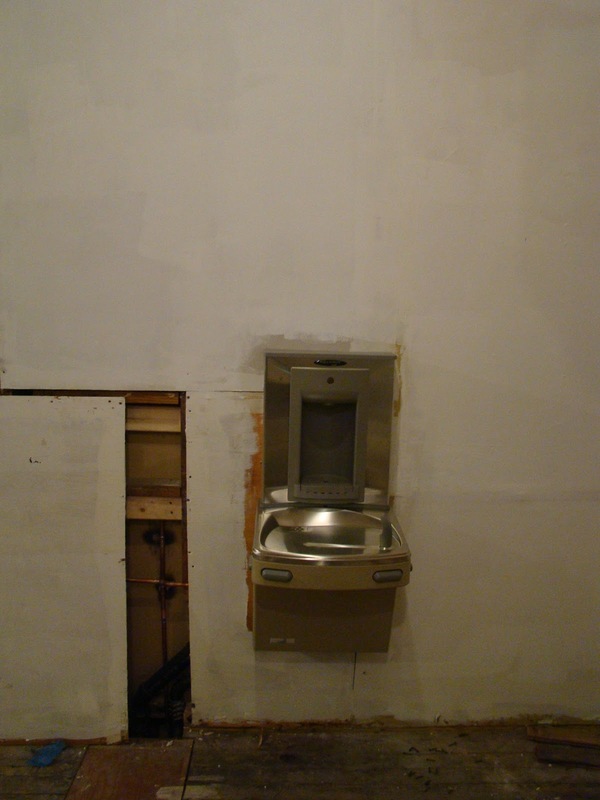 Here's an early photo of the Oasis Water fountain being installed. Soon it will be closed on the bottom and the Sports Water Filler will be part of it too!! How exciting! Check out the date of manufacture of this pipe and Happy Springtime in the 'Burgh! Also note the insulation sleeve around the hot water piping for purposes of energy conservation! Lauren DeCleva, Liz Lynch about to have a sweet baby, and Laura Beck! This is the newly installed water fountain and sports water filler from Oasis! Mmmm, filtered water! 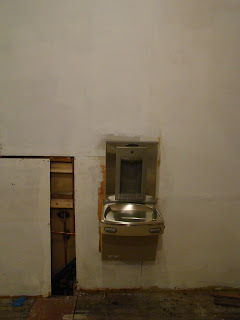 So, you think we ought to paint the wall a different color or put some tile around the fountain? Comments welcome!!! You are invited! Welcome the donated Oasis Water Fountain, Sports Water Filler and Water Filter to Schwartz Living Market on April 4, 2013, from 4:00 to 7:00 PM! Join us on Thursday April 4, 2013, from 4:00 to 7:00 PM for the coronation of our brand new and donated water fountain from Oasis, a small woman owned business in Columbus. Ohio. Help us thank Chris Romangnoli of Oasis and Matt Larkin, the local Pittsburgh, PA, representative of Oasis, and all of the wonderful people that have donated so much of their time, and worked so consistently, as we manifest our dreams at 1317 East Carson Street. We will be entertained from 4:00 to 5:00 PM by Stephanie Miller, harpist extraordinaire! See www.musicforlife.com for more details about Stephanie's work with Vibroacoustic Harp Therapy. David Smith will be doing a Native American blessing on the fountain and all of our water in Pittsburgh, and Phil-O-Sophical will be doing his amazing Flowetry stand up poetry. Sliding scale suggested donations will be accepted. Twenty five dollars or more, or ten dollars suggested donation if you bring your own water bottle to fill. Look forward to scheduling a Vibroacoustic Harp Therapy session with Stephanie Miller and much, much more, on our opening weekend June 21, 22, and 23, 2013. Stay tuned for those details! Before accepting the Oasis water fountain with its amazing Sports Water Filler, we checked out the product, as we have checked out everything that comes into our space. We learn where the products are made and what they are made of, to be sure they meet imperatives of the Living Building Challenge. This Oasis Water Fountain combined with its Sports Water Filler passed both our test and the LBC test. We wish the Sports Water filler did not have any plastic components, but the components of the plastic in the Sports Water filler are not on the Living Building Challenge Red List. Go to www.livingbuildingchallenge.org to look up the Red List and to see if the Living Building Challenge is a challenge you'd like to work with in your current living space or on the next construction project you plan to work on! As I may have told you if we have met, or if you've read this blog before, for the first part of this project at 1317 East Carson Street called Schwartz Living Market, An Urban Oasis for Healthful Living, we are working on the Petal Recognition part of the Living Building Challenge. What does Petal Recognition within the Living Building Challenge mean? As an Ambassador for the Living Building Challenge in Pittsburgh, I can tell you what I know! The Living Building Challenge in our case, involves renovating our building at 1317 East Carson Street in a way that is as beautiful as a flower and functions as efficiently as a flower. There are seven petals that are part of the Living Building Challenge, and twenty imperatives to fulfill, that's a set of 7 categories and 20 rules within those 7 categories. Our intention is to fulfill all seven petals and twenty imperatives with the overall project at 1317 East Carson Street, but in the meantime, as we are just about completing the first phase of our process by renovating the front 4800 square feet of our 18,000+ square foot building, we are going for Petal Recognition. 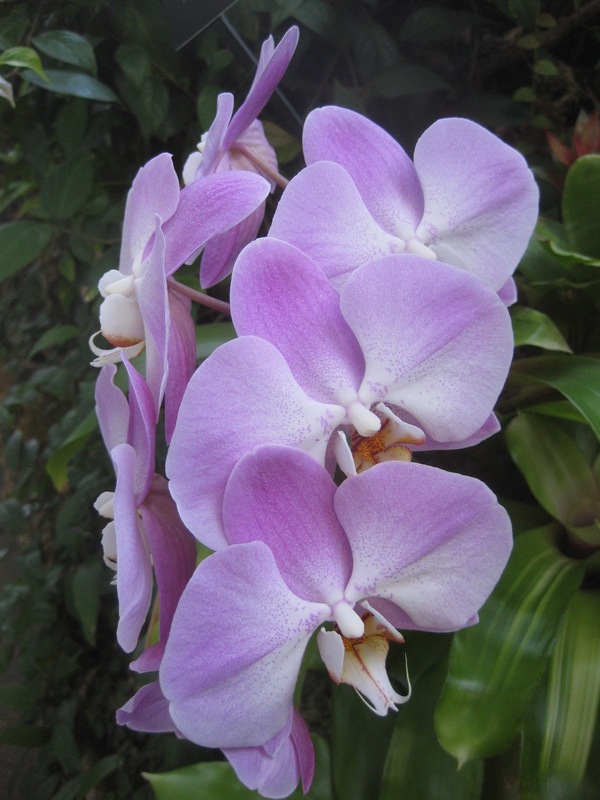 The requirement for petal recognition is to fulfill three or four of the petal requirments. One of the petals chosen must be either the Water, Energy or Materials petal. We have chosen for the first part of the project to fulfill the Materials petal and we are still deciding which other two or three petals we are planning to fulfill other than the Water or Energy petal which we will fulfill for the overall project. Whew! If you followed that, please let me know by commenting below. And also, let me know how easy or difficult it was for you to comment on this blog! If you are unable to contact us through this blog, feel free to send a message to us through our Schwartz Living Market Facebook page or send your message to schwartzlivingmarket@gmail.com! On Thursday, April 4, 2013, following Stephanie's fantastic harp playing will be a water blessing, and then socializing. This event is open to all with a suggested donation of $25.00.